A Halloween Cult Classic You Don't Want to Miss! Release Date: October 6, 2009 (DVD) – U.S. 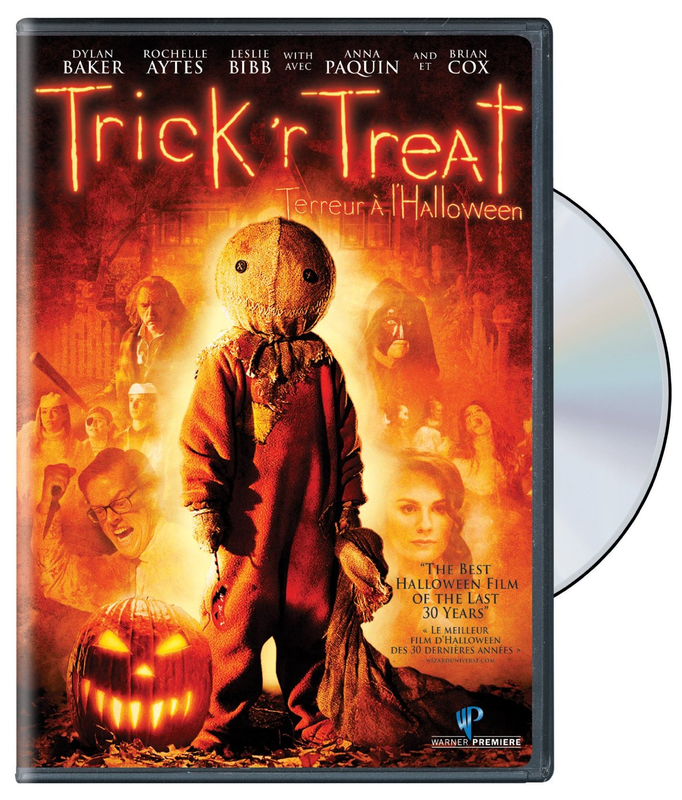 Such is the sterling reputation "Trick 'r Treat" has amassed over the years that I was flabbergasted to find out it never received a theatrical release. Instead, it was dumped directly to DVD in 2009 – two years after filming was completed. The cover proudly boasts the following blurb: "The best Halloween film of the last 30 years." That may not be far off from the truth. Yes, "Trick 'r Treat" is that good. A bickering couple (Leslie Bibb and "Dollhouse's" Tahmoh Penikett) argue over Halloween decorations. A skewed school principal (Dylan Baker, who has perfected these types of unsettling roles) catches a trick-or-treater stealing too much candy (Brett Kelly, the big kid from "Bad Santa"). A 22-year-old virgin (Anna Paquin) is pressured by her friends that tonight should be the night she finally experiences her "first time." A group of brats lure a "savant" girl out of the house and tell her a scary story about a group of captive kids drowning in a school bus. This is a story within a story. A drunken recluse (Brian Cox) opens the door to the wrong trick-or-treater. All of those sound like fairly conventional horror tropes on the surface, but "Trick 'r Treat" never fails to surprise or delight with its tiny twists and turns. The brisk pace – only 82 minutes – means there are no wasted moments in this movie and never any time to get bored. There is a "villain" of sorts – Sam, who looks like a homemade Halloween costume – but "Trick 'r Treat" smartly focuses instead on its characters, stories, and stellar cast of actors. I usually detest films that are split into different sections. I can't stand even some of the "best" examples of this sub-genre – sorry, "Short Cuts" and "Love, Actually" – because most of them feature one or two good sets of characters and stories along with a bunch of others that don't hold my interest or irritate me in some way. But "Trick 'r Treat" is one of the rare exceptions because it's so compelling, entertaining, and just plain done well – everything is great here. 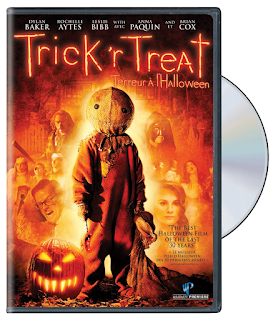 There is so much more I could say about "Trick 'r Treat" but that would only spoil the fun. It's a special movie that you really should experience for yourself.